Imagine row after row of cell doors that rarely open and row after row of people trapped behind those doors, in small cells, day after day. Imagine having to hold most of your conversations by shouting through your cell door at voices whose faces you cannot see; imagine trying to sleep as a cacophony of other voices continue shouting around you. This is the reality inside Southport Correctional Facility, New York’s first supermax prison. 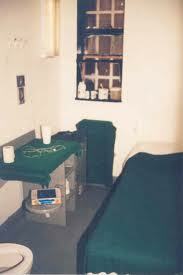 Located four hours west of New York City near the Pennsylvania border, Southport holds roughly 350 people in Special Housing Units (SHUs), or specially-designed solitary confinement units, on any given day. These 350 people spend at least 23 hours each day alone in their cells with little to no human interaction or programming to engage their minds. On any given day, New York State prisons hold roughly 2,900 people in SHUs, or 5.8 percent of its state prisoners. An additional 1,000 people are estimated to be held in keeplock, another form of isolation in which people are locked into their own cells (rather than specially-designated cells) for 23 to 24 hours each day, bringing the percentage to 7.65 percent. In comparison, the national average is 4.4 percent. Most people are transferred to Southport and the state’s other supermax prison, Upstate, for extended punitive stays in solitary after being charged with rule violations in other prisons. Some remain there for years. At Southport, the Correctional Association spoke with hundreds of people who were suffering from extended isolation, including high rates of depression and anxiety as well as numerous instances of self-harm. Nearly 90 percent of the people at Southport are Black (62 percent) or Latino (27 percent). They reported pervasive violence and racism from the nearly all-white staff, including not only brutal beatings but also disciplinary tickets for behaviors as minor as disobeying a direct order or talking back to staff—tickets that extended their SHU sentence by months. Advocates also learned that nearly 17 percent of people in Southport were under the age of 25 and that 6 percent were age 21 or younger. Rogelio was sent to Southport in 1999, initially for one year, after a fight at the Shawangunk Correctional Facility. There, he encountered problems with the porters—other incarcerated people assigned to clean the hallways and serve food. “They weaponized the food,” meaning that they contaminated his meals. he explained in an interview following a press conference in Manhattan marking the release of the report. Rogelio responded by throwing things at them from his cell. Each time, he was issued a disciplinary ticket; each ticket led to an additional nine months in Southport. He spent a total of five years in Southport. In 2004, he was transferred to Comstock and placed in general population. Rogelio’s experience is not uncommon. The Correctional Association found that approximately 57 percent of people in Southport received at least one disciplinary ticket in 2015. That number jumped to 77 percent the following year. Nearly all (98 percent) of these tickets resulted in guilty findings and, in half of those cases, people were given an additional 60 and 75 days in isolation. Black people, like Rogelio, made up 64 percent of those who received a ticket and 67 percent of those who were sentenced to at least six months’ additional time in the SHU. Southport was not always a supermax. When Jerome Wright was first sent to Southport in 1989, people could still congregate and participate in group activities, such as eating together. In 1991, the prison was converted from a maximum-security prison into a supermax, or a prison dedicated to solitary confinement. By then, Wright was in the SHU. The story behind that SHU sentence, Wright explained in a phone interview, is complicated. He had been transferred from nearby Elmira Correctional Facility, where he had signed on as a plaintiff in a class-action suit against Elmira officials for racist behavior and racial discrimination. “I was testifying against officers who were using the N-word,” he explained, adding that racism permeated the prison from housing and job assignments to everyday treatment. A solitary confinement cell at Southport. Wright was temporarily moved to Wende Correctional Facility in order to testify in court. At Wende, he was beaten by prison staff, he says, as retaliation for suing their colleagues. He was then charged with assaulting correction officers. In addition to prosecuting Wright in the local courts, prison official gave him 72 months—a full six years—in the SHU. He was returned to Southport and placed in what was at that time a small number of solitary cells. Wright spent two-and-a-half years in isolation. During that time, he was frequently denied his one hour of out-of-cell recreation. But, he recounted, he was lucky. His family visited him every week and wrote letters constantly. That level of outside involvement protected him from the violence that he saw many others endure at the hands of officers. Not only were officers wary of abusing a person whose family would raise a ruckus, he explained, “they [also] knew I had those lawyers from the [Elmira] lawsuit.” From his cell, he saw others denied their one hour of recreation or who were brought out in shackles and handcuffs only to be beaten by staff. “A friend had his dreadlocks ripped out of his head,” he recounted. This rampant brutality has led to hundreds of lawsuits against Southport alone and, just within the past five years, $10 million in settlements. After two and a half years, the prosecuting attorney realized that the officers had fabricated the assault charges against Wright, who was then returned to general population. “They called it a time cut,” he said, “like they were doing me a favor when I shouldn’t have been there in the first place.” By then, the prison had changed, becoming nothing but solitary cells. In 2008, New York passed the SHU Exclusion Law. The law calls for people diagnosed with Serious Mental Illnesses who face isolation for more than 30 days to be diverted to a Residential Mental Health Treatment Unit. Though approximately 200 people have been diverted, since the law was implemented, Beck pointed out that the law doesn’t apply to people who have significant mental health issues but are not diagnosed as Serious Mental Illness. Even more disturbingly, several people in Southport who had previously been diagnosed as having Serious Mental Illness were re-classified as having less severe mental health needs, thus allowing prison officials to place them in the SHU. These rewritten diagnoses aren’t limited in Southport. Jack Beck, Director of the Correctional Association’s Prison Visiting Project and the report’s co-author, notes that, after the law passed, far fewer people throughout the New York State prison system have been diagnosed with Serious Mental Illness and are eligible for diversions. “They’re able to be kept in solitary confinement for years and don’t have access to appropriate mental health treatment,” he said. In 2011, after spending 780 days in a double-celled SHU (meaning that he was locked in his cell 23 hours a day with a cellmate), Leroy Peoples filed the lawsuit Peoples v. Fischer to challenge the state’s solitary confinement policies. Two years later, in 2013, the New York Civil Liberties Union (NYCLU) filed an amended complaint to extend the scope of the lawsuit to include all people in disciplinary segregation in New York State prisons who had been affected by these policies. In December 2015, the NYCLU and DOCCS announced a settlement agreement in the class-action suit, in which DOCCS agreed to a series of incremental changes in its policies and practices around solitary. At the time, more than 4,000 individuals in New York State prisons were in some form of isolation, amounting to 8 percent of the state’s total prison population. Months before the settlement agreement, however, something else occurred that would cause the numbers of people in solitary to balloon. On June 5, 2015, two men escaped from Clinton Correctional Facility, a maximum-security prison near the Canadian border. Their escape, complete with a hole cut in the back of the cell, and a journey through a prison steam pipe with a guitar case filled with assorted clothes, 20 packs of peanuts, 40 granola bars and a dozen sticks of pepperoni, was accomplished only with the help of a member of the prison staff. But the three-week manhunt that followd captured headlines, inflaming the public’s imagination, triggering brutal retaliation at Clinton, and tightening security measures in prisons across the state. Before the escape, New York State held roughly 3,600 people in the SHU. After the escape, that number ballooned to over 4,100 people. “This was a direct response to the escapes,” said Scott Paltrowitz of the Correctional Association and the New York Campaign for Alternatives to Isolated Confinement. Nearly nine months elapsed before the numbers in isolation dropped to the pre-escape levels. Since then, the incremental reductions in SHU time brought about by the Peoples settlement have begun to take effect. But despite the settlement, and despite the passage of the SHU Exclusion Act, the number of people in isolation in New York remains high, while transparency about the state’s practices is lacking. “DOCCS refuses to provide information on how many people are in keeplock,” noted Paltrowitz. The lack of information raises the question of whether the decreased numbers in SHU correspond with increased numbers in keeplock. But even if the numbers in keeplock have not increased, Paltrowitz notes that solitary numbers still exceed the national average, and New York lags behind many other states in instituting meaningful reforms. “That’s why we say HALT,” said Beck, referring to the HALT (Humane Alternatives to Long-Term) Solitary Confinement Act. If passed, the bill would limit solitary confinement to 15 days, bringing New York in line with the United Nations’ Mandela Rules, the international standards for the treatment of prisoners. For people who may need to be separated for longer than 15 days, HALT provides for alternatives to isolation in the form of special rehabilitation units. “We promote separation when necessary, but not isolation at any time,” explained Wright, who is now the Upstate Organizer for CAIC. Reflecting back on his nearly 30 years in prison, he remembers, “There were times at the beginning of my sentence when, as a young man, I needed to be separated from others. But not isolated.” The HALT Act mandates a strict limit of one year even for the rehab units, with out-of-cell time for treatment and congregate activities while people are held there. Advocates are building legislative support for the bill, which offers hope to New Yorkers who have been held in solitary for as long as 30 years. This entry was posted in Features, News and tagged brutality, Correctional Association of New York, HALT, HALT Solitary Confinement Act, Legislation, litigation, New York Campaign for Alternatives to Isolated Confinement, New York State Prisons, NYCLU, Peoples v. Fischer, racism, Report, Retaliation, Solitary Confinement, Southport Correctional Facility. Bookmark the permalink. Amazing how it doesn’t seem to occur to these gullible bleeding hearts that the inmates might be LYING to them! Come put a blue shirt on and come down back for your self and see what prison is really like, you want to create a article about inmates being miss treated in SHU? They are in the prisons Special Housing Unit because they can’t handle being our with GP or General Population, guessing for drugs, fights, stabbing, threats, assaults on staff. I understand you civilians think you know what it is Like from holleywood movies. The fact of life is if you break the law, there must be consequences for your actions. Life is about choices and if you can’t obey the law, you must receive a ticket. Remember inmates made a decision to break the law, they left their rights at the door. who cares dont break the law and you wont be an inmate there. The continued use of the phrase “solitary confinement” is a misnomer in todays corrections…stop perpetuating the “Shawshank Redemption” style of prison….it is not like that at all. If you truly wish to see what it is like in a modern correctional setting – put on a uniform and walk a tier…you will see the abuse the Correction Officer (not a prison guard) has to be subjected to on a daily basis, yet there is no concern for their well-being or mental health issues they face due to this ongoing abuse. Funny how Mr. Wright failed to mention, that during his incarceration at Southport, there were events that led to the supermax designation. In 1990, 250 inmates decided it was a good idea to start a riot, in which 8 inmates and 19 staff were injured. Then in May of 1991, inmates took 4 staff hostage. It wasn’t long after the hostage taking that Southport was made a supermax. He is also wrong about the suicide rate..I worked the ambulance in the county and we were never called for a suicide..health issues and codes yes. An ambulance is always called in the event of a “death” .and the inmate is always taken to the hospital in “full arrest”. The hospital would make the call as to time of death and autopsy would make the call as to cause of death. We also never went out on the units..the inmates were taken to the infirmary from their cell. So yeah take most of this article with a grain of salt. It’s true… I agree big time that some prisons are run horribly and inmates are mistreated, but you always have to be cautious when reading stories like this… Inmates never tell stories like this and mention what they MIGHT have done to cause this treatment just like if you’re watching a show like Lockup, correctional officers will never mention any time they may have mistreated an inmate, if they did. This SHU situation could be cut in half. Bring back prison Industry Inmates could learn a trade & have no time to misbehave. the Industry could be geared to foreign aid as not to interfere with private Industry. I hope this is not true cause I have a son going there for a motorcycle accident why would they put a person who had a motorcycle accident in a supermax correctional facility is beyond me I sure hope I don’t have to get my lawyer’s up there hope to see you soon my son and I want to hear all about it god bless . The reason this type of facility was intended for ” violent, uncontrollable people”. My son spent over a year there, for a dirty urine screen in a medium security facility.. I’m chatting with a lawyer. Mr. Perez, I suggest you do the same.